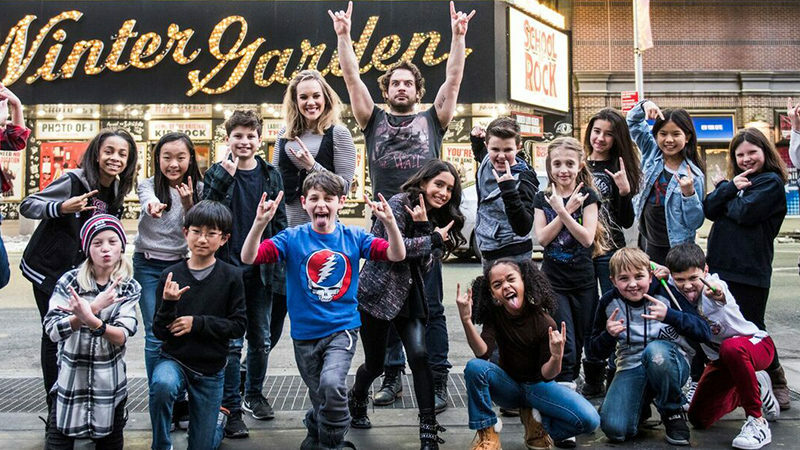 School of Rock opened at Broadway’s Winter Garden theatre on December 6, 2015. 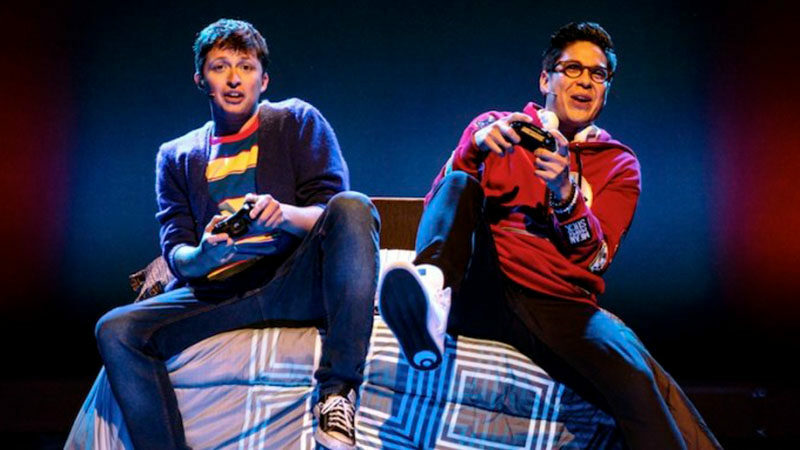 The musical features music by Andrew Lloyd Webber, lyrics by Glenn Slater, and a book by Julian Fellowes. 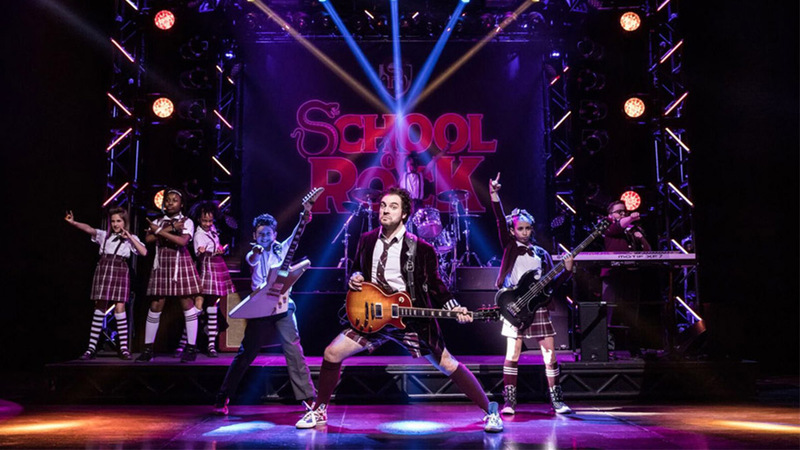 Drawing from the popular 2003 film with a screenplay by Mike White, School of Rock was nominated for four Tony Awards including Best Musical, Best Score, Best Book, and Best Actor in a Musical – Alex Brightman. 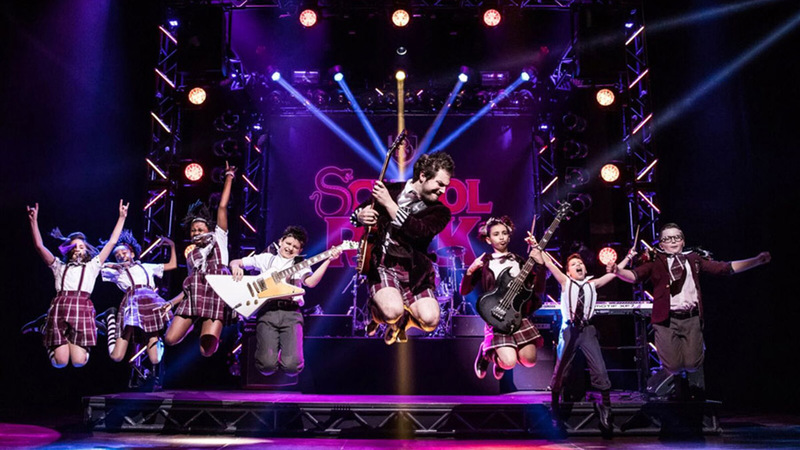 School of Rock – The Musical currently stars Justin Collette as “Dewey Finn,” Analisa Leaming as “Rosalie Mullins,” Jonathan Gould as “Ned,” Lori Eve Marinacci as “Patty,” Conner John Gillooly as “Dewey Alternate,” Zachary Zwelling as “Zach,” Levi Buksbazen as “Freddy,” Rachel Katzke as “Katie,” Walden Sullivan as “Lawrence,” Olivia Chun as “Summer,” John Allyn as “Billy,” and Amadi Chapata as “Tomika.” The adult ensemble includes Natalie Charle Ellis, Badia Farha, John Arthur Greene, Nehal Joshi, Andrew Kober, Lulu Lloyd, Jaygee Macapugay, Cassie Okena, Patrick O’Neill, Jesse Swimm, Josh Tower, Joel Waggoner, Jonathan Wagner, and J. Michael Zygo. The kids’ ensemble includes Terrance Bell Jr, Chloe Bryan, Michael Cascetta, Gabrielle Greene, Sophia Kekllas, Ellie Kim, Colin Lauri, Cory Logan, Demi Singleton, and Annabelle Wachtel.